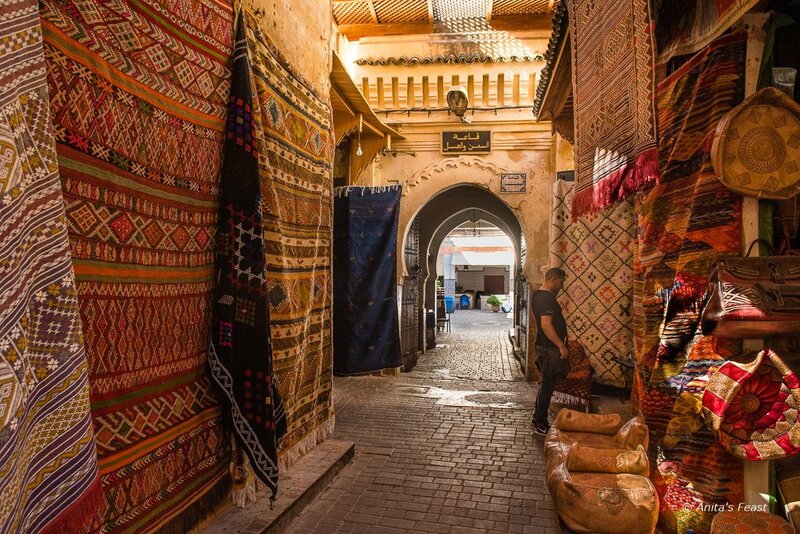 One of my requisite stops upon returning to Fez is “the honey souk”, Fondouk Kaat Smen, set back behind a display of carpets on Tala’a Kebira, the Medina’s High Street. 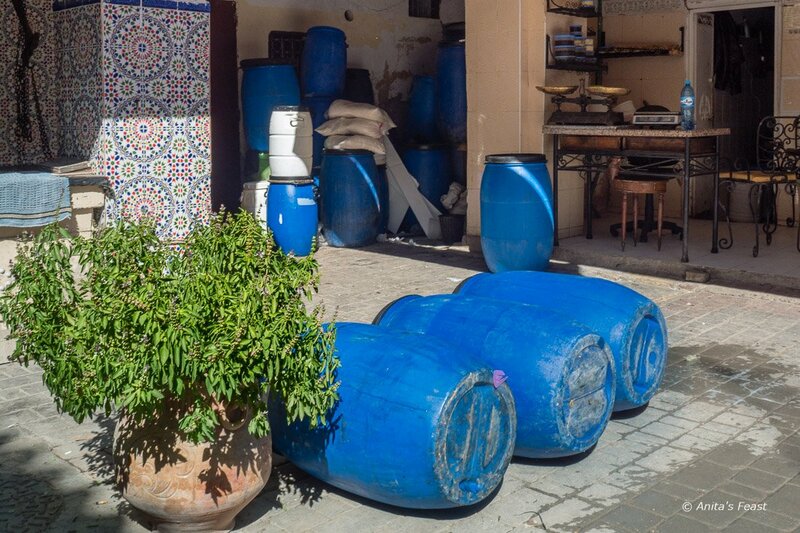 Big blue plastic casks filled with honey line the sun-bleached courtyard. Sellers offer tastes to shoppers and ladle sweet goodness into small plastic cartons for take-away. 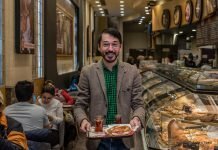 There are several purveyors here, but I generally head for the back room at Nafis Hicham’s place, and for the wild honey I’ll find there. There, bees who perished for their art loll in vats of sweet goodness. 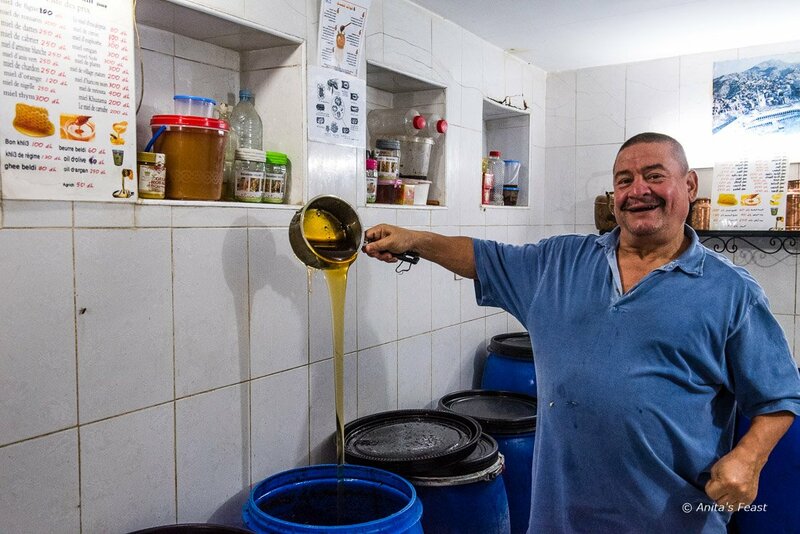 This shop has been a going concern for three generations, and although there are 17 or more barrels of honey on offer, the best versions are from the wild bees of the Atlas mountains. 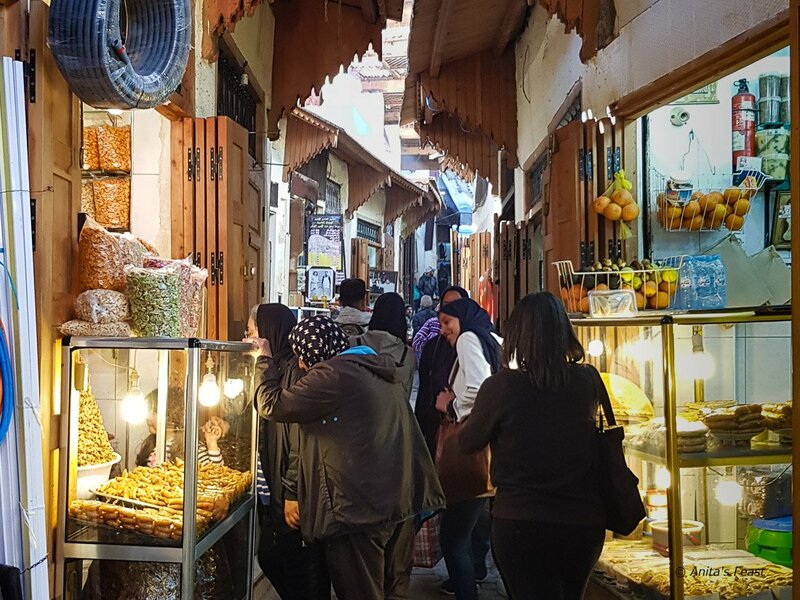 Many things have changed in Fez since 2007 when Alice Feiring wrote about her visit to the honey souk, and the “feral honey” she found there. 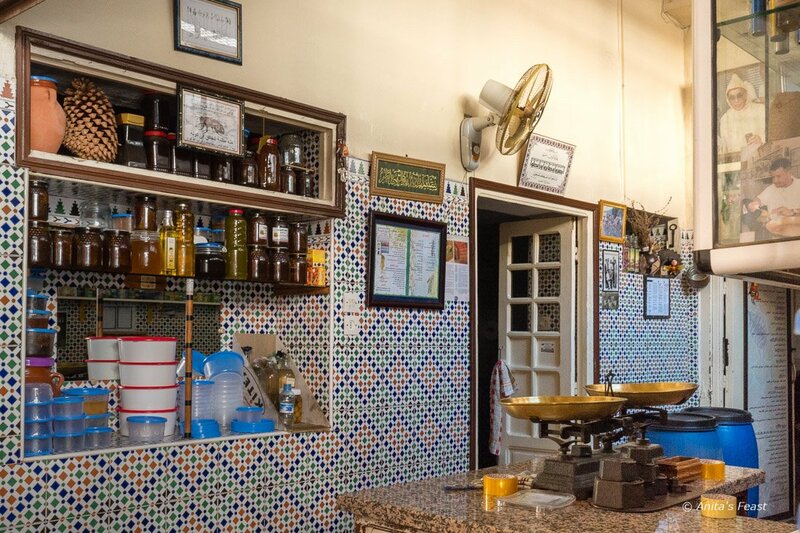 One thing that has not, however, is the variety of honey on offer here in the medina—and the quality. Oh, the quality! 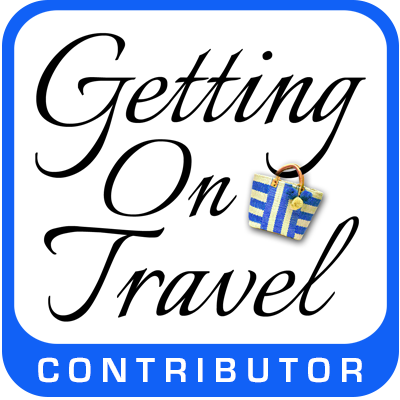 Feiring is known for her passionate advocacy on behalf of natural wines, such as those I sampled last year in Georgia; in my view, Alice Feiring’s good taste extends to the honey of Morocco, as well. And some of the best Moroccan honey is to be found in the plastic vats of Kaat Smen in the Fez medina. 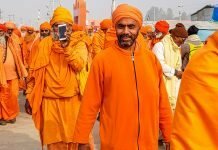 As it happens, honey—along with olive oil and khliyah— a rich, flavorful dried meat packed in rendered beef fat—are comparatively recent additions to the offerings of Kaat Smen. Before it was a honey market, the square was the place to go for the stinky fermented butter called smen. It still is! Smen is widely used across North Africa and adds a marvelous character to couscous. The families of vendors in the square have been making the funky stuff for centuries. 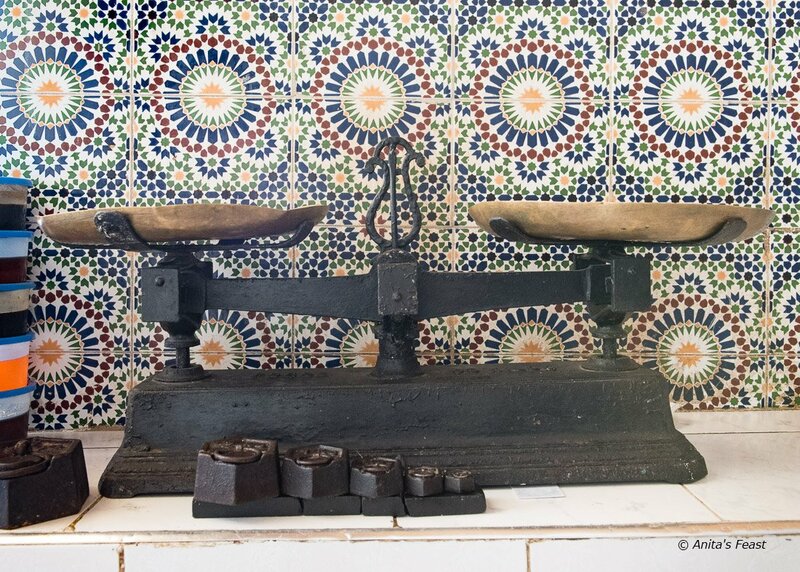 For more about smen and the square that bears its name, read what Alex Schmidt has to say about Morocco’s Funky Fermented Butter for NPR’s The Salt. 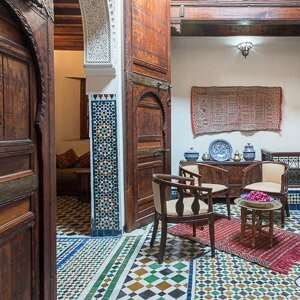 Many of the best guesthouses in Fez regularly serve honey from Kaat Smen at breakfast, and it’s easy to see why. Their lucky guests always get the best of the kinds of honey on offer at any given time. 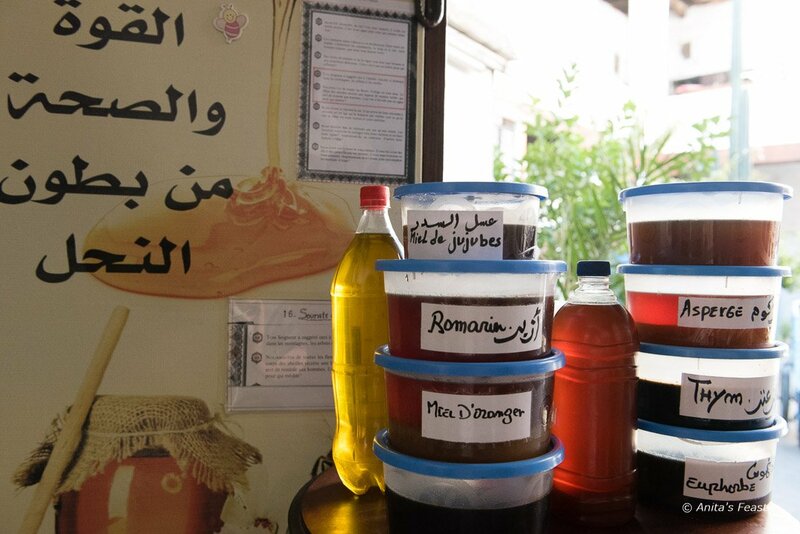 All over Morocco, honey is a key ingredient in many beloved dishes. Especially during Ramadan, honeyed biscuits play a starring role in breaking the fast. At any time of year, honey-coated chebakkia are served alongside steaming bowls of harira, the national soup. And for visitors to Fez, no trip through the medina is complete without a walk past the little stalls selling all manner of honeyed treats. 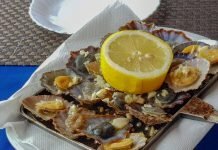 Through the years that Tom and I have been coming to Morocco, we have tried honey from every vendor in Kaat Smen, and I am always on the lookout for new wild honey favorites from the latest “vintage”. The carob honey is caramel-like, not grainy at all; the lavender honey evokes summer-time Provence, but my most recent “Aha! moment” came when I tasted honey from the caper vat. Caper honey is said to be the perfect balm for colds and flu, but it was the delicate and flowery taste that got my vote. Soon my choice was poured into a little plastic bin and taped shut for the trip down Tala’a Kebira to Dar Borj Dahab, our house near Bab R’cif. We won’t be able to get through more than one container of honey during our current stay in Fez, so I stopped before I could get carried away. Should matters change, though, and we experience a honey shortage, it will be time to head back up the hill, where I’ll try another flavor. What a sweet post! 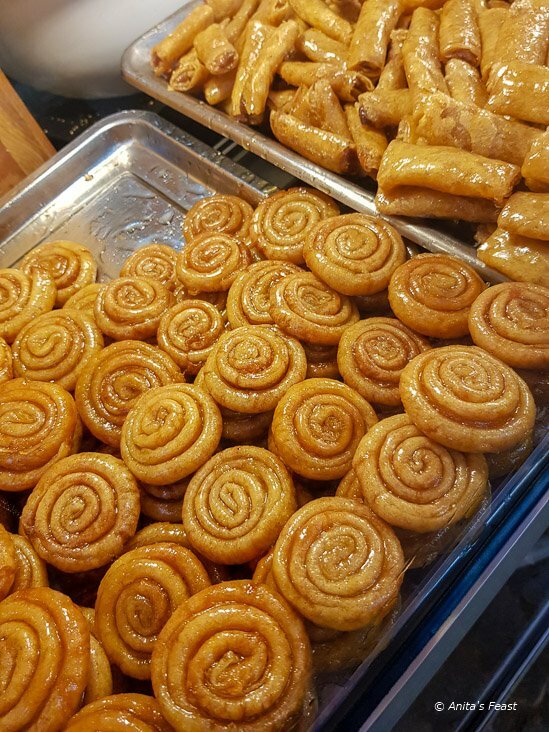 You had me drooling, especially the photo of those honey-laced pastries. The honey souk looks like a great destination for a honey tasting! Oh it is, Irene. 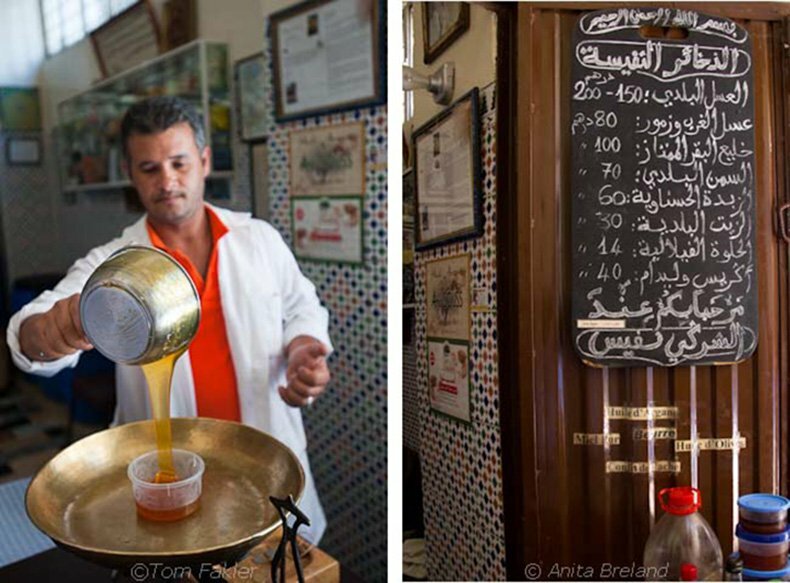 There is honey all around us here in Fez, but the varieties produced by wild bees are really fine! Thanks for your comment, Michele. For me, Fez is a place of many “next times”…always something new to discover! I think it’s so interesting to try and taste the different flavors in honey-the terrior-so to speak. Can one use that term when it comes to honey? Anyway, your post had my mouth watering for some tea and honey. I’ve never heard of caper honey, it must have a very different taste. I would love to visit the souk in Fez, it rained the entire time I was there and left a taste in my mouth that could use some sweetening. 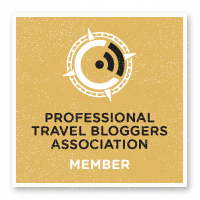 Too bad that your medina experience was a wet one…rainy days can be quite dreary, although even then, the souks are heaving with commerce and other aspects of daily life. I hope you have a chance to experience it in better weather someday! When you return, you must taste the caper honey–it’s mild and floral, very delicate, and totally yummy.